"News bulletin - we just won Wyoming!" Sanders said to cheers. Speaking to reporters after the event, Sanders said he believed he had enough momentum to secure the nomination. 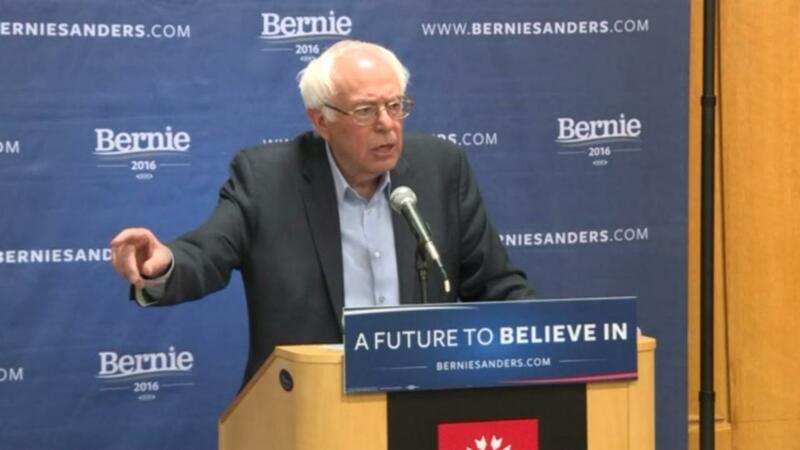 "We are closing very fast," Sanders said. Clinton, a former U.S. secretary of state, campaigned in the nearby borough of Brooklyn, where her campaign is based. Clinton represented New York as a U.S. senator and considers the state her home turf. Recent polls have shown Clinton more than 10 points ahead in the state. Tension between the two candidates flared earlier this week in a party race that has typically focused on policies and not personal attacks. The candidates dialed back their criticism of one another on Friday.